Since the 17th century, the site of today's current Old Spitalfields Market in London has been a place for commerce. When first used in 1638, it was simply an open area where tradesmen came to sell everything from produce to meat. If only those tradesman could see the same space now, sporting everything from Chanel to Rag & Bone, Lululemon to Rapha. 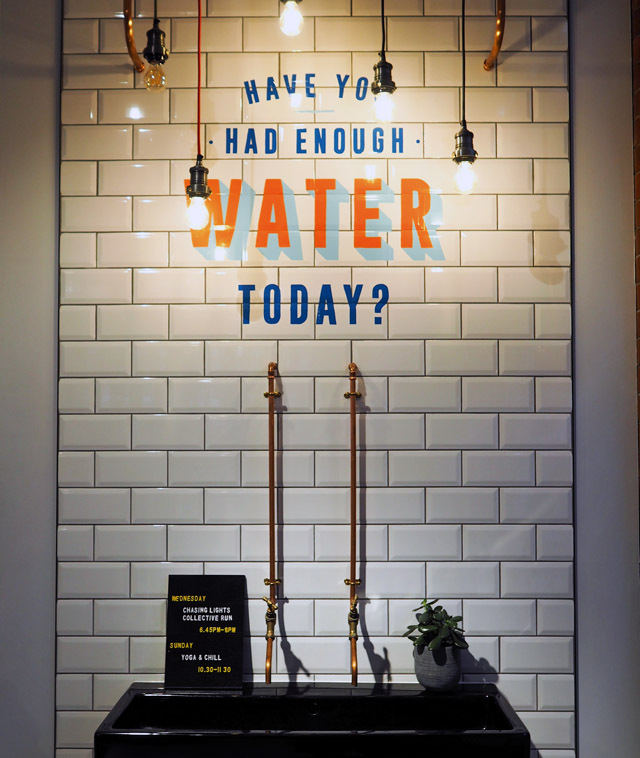 This is a new and reinvented use of the space, yet somehow Old Spitalfields Market has even more charm and authenticity than what existed nearly a decade ago, that being the last time I was in this neck of the woods to shop. The space has most definitely undergone a loving transformation with the new owners working hard to make this a destination for both locals and tourists in London. But, there is also special attention being paid to preserving the history and authenticity of the location itself. Being a West London girl, I've surprisingly always had a soft spot for this East London hot spot and last week, as I went through the market to fulfill my Christmas shopping list, I fell in love all over again with this majestic London landmark. Let's start with the basics. 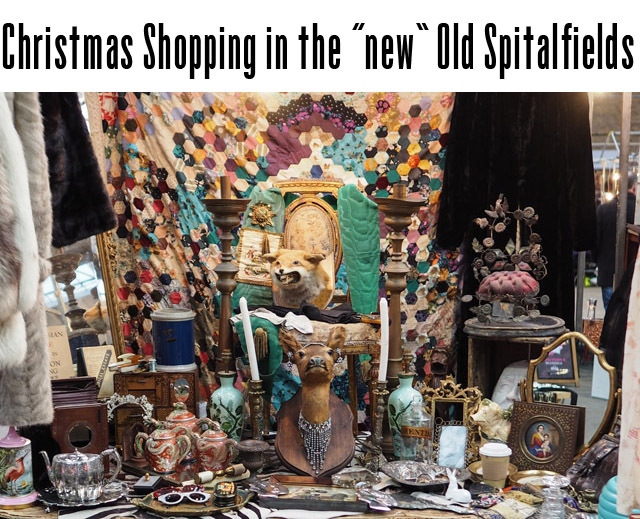 Old Spitalfields Market is a brisk five minutes walk from Liverpool Street Station, on the central line. It truly couldn't be easier to get to. And if you're meeting a friend or loved one in the city, there's really no excuse not to pop in. The original buildings, from 1885, still stand, yet the brands that decorate their historic store fronts have most certainly evolved (more on that below). Old Spitalfields Market is open seven days a week and features permanent stores, as well as a nod to it's historic past with an open air market at the heart of the structure. 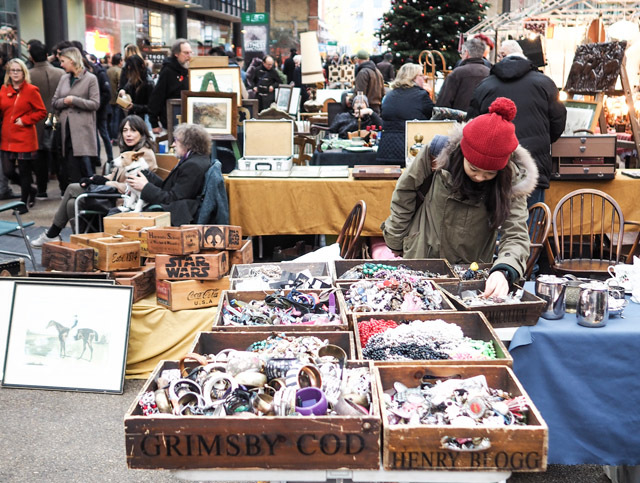 The open air market features everything from antiques to vinyl records, my favourite being antique day on a Thursday where the die hard buyers arrive before sunrise to score epic deals on the tables. I guess you could easily say that this is a marketplace that is constantly breathing, changing and bending to provide a fulfilling shopping experience. Now, about that shopping experience. 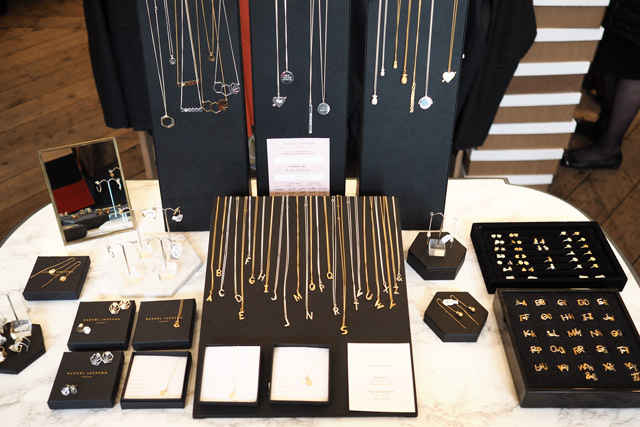 For those of you looking to do your Christmas shopping in the area, I wanted to highlight a few of my favourite stores that have popped up around Old Spitalfields Market recently. We'll kick off with one of the newest additions to the retail roster, Chanel! I have to start this by saying that I had to actually double check my literature to make sure I wasn't seeing things. 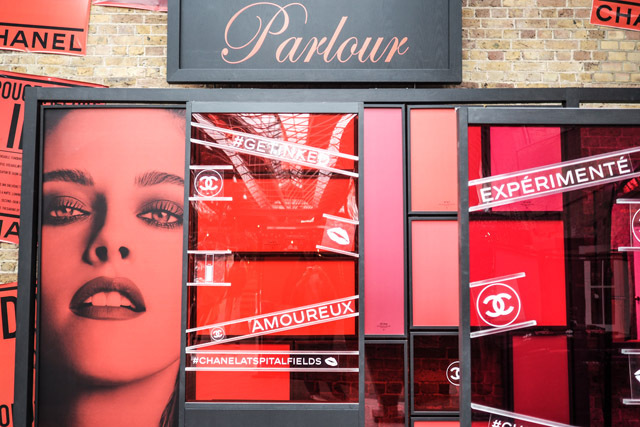 Chanel in East London? Of course it is the most brilliant concept ever, but one I didn't think I would see in my lifetime. 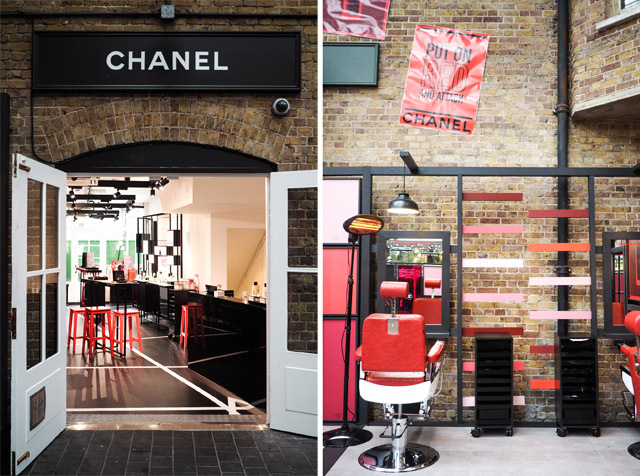 Why wouldn't there be a Chanel in one of the trendiest neighborhoods occupied by young professionals in London? Well, I guess Chanel were asking themselves the same question as it's here, I've seen it with my own two eyes, and it's absolutely marvelous. The Chanel Beauty store isn't your average Chanel store, either. 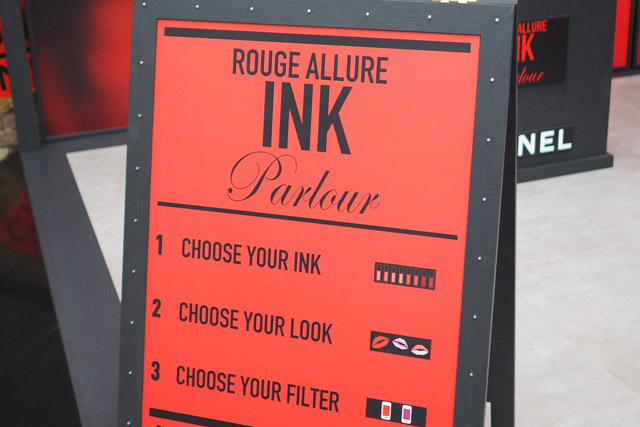 They've extended out into the open air market with a Rouge Allure Ink Parlour, basically Chanel's take on the coolest tattoo parlor on earth, and they are welcoming customers to come and get a quick fix in the chair. You can have anything from a flash lip to a glam eye created for you by the experts. I wasn't going to let this opportunity go, so of course I sat down for a quick go at the table, and the rest is history. Christmas presents in hand, I left thinking how incredibly cool the space felt and how Coco Chanel herself would have approved this new endeavor. 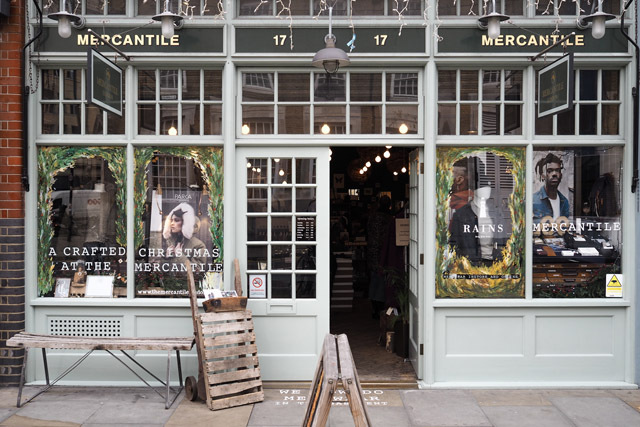 Time to admit that I not only adore Mercantile of Old Spitalfields Market as a store, I simply love the founder and owner as well for her completely unique eye in buying fashion. 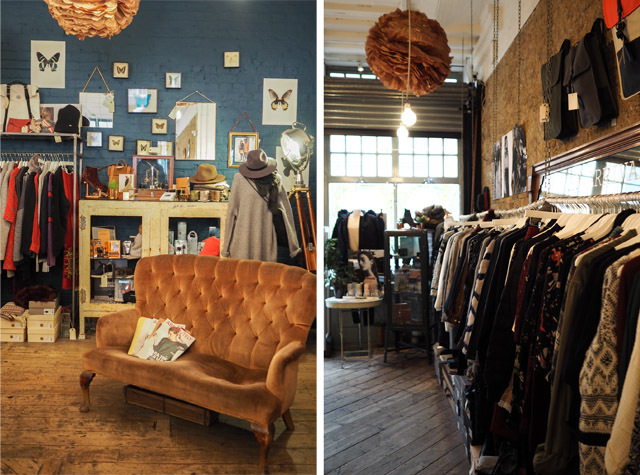 This is a store that will appeal to every Londoner, every tourist and then some. The edit is chic, simple and elegant. 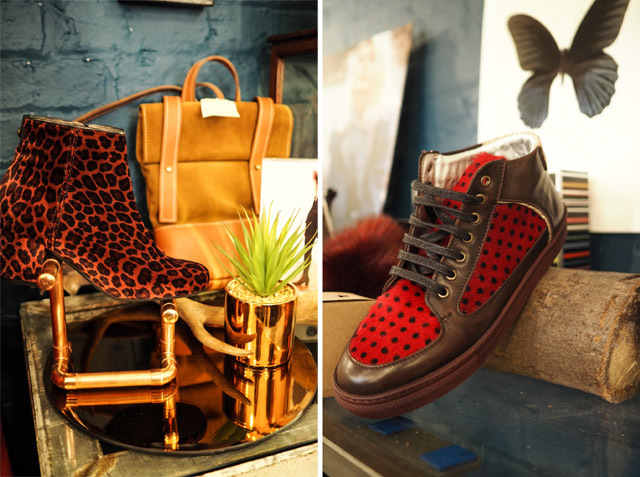 From fine jewellery to oversized knits, designer jeans to a £20 bargain bin, there is a rhythm here that allows you to float thorough the store on a journey of discovery without feeling like you are being oppressed by specific trends or oversized prices you might find in similar outlets. This is quite simply a store that is an extension of a very fashionable women's closet. I hope the founder won't mind me saying that as she is one of the most chicly dressed women I've ever come across and this does feel like her space, her baby and creation. For Christmas shopping, I fell in love with the delicate necklaces found on the ground floor, the homewares and local candles in the basement, and every single piece of knitwear I ran my fingers across. This is a very dangerous location indeed, for the stylish ones amongst us! 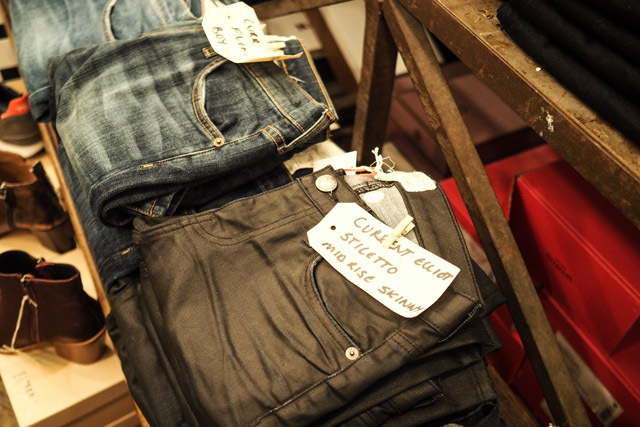 Here's another surprise, when it comes to new brands in Old Spitalfields Market. There is now a McQ right in the heart of the market. And you know what? I'm pretty sure Lee McQueen would have loved to have seen this come to fruition. 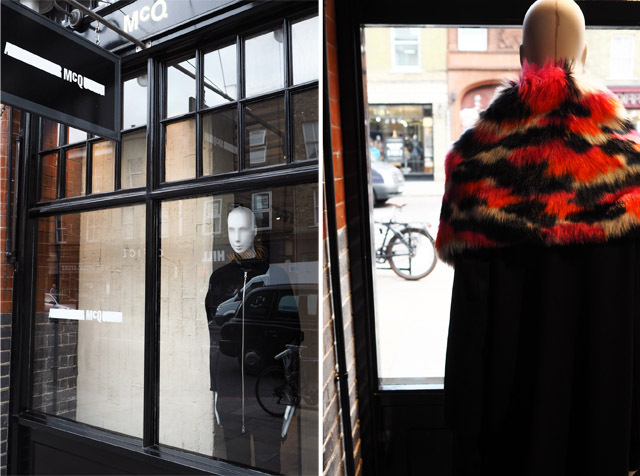 Divided into two rooms, McQ features fashion for both men and women. The shop assistants here are lovely, bubbly and all too happy to convince you that you do indeed need that swallow print sweatshirt. However, the layout is clean, edited and not at all imposing. This is a shop that features a very precise offering for loyal McQueen fans, who will most certainly not be disappointed by what they find displayed on the black hanging rails dotted throughout the store. I have to admit I'm a bit biased when it comes to Lululemon. I was first introduced to the brand in Los Angeles about a decade ago and haven't looked back, when it comes to workout gear. In fact, I basically wear more Lululemon than any other brand these days, as we all enter the world of workout chic as everyday wear. Who doesn't live in their leggings? (if you don't- try on a pair immediately and you will understand why the rest of us do). That all being said, again they were a surprise, a very pleasant one! 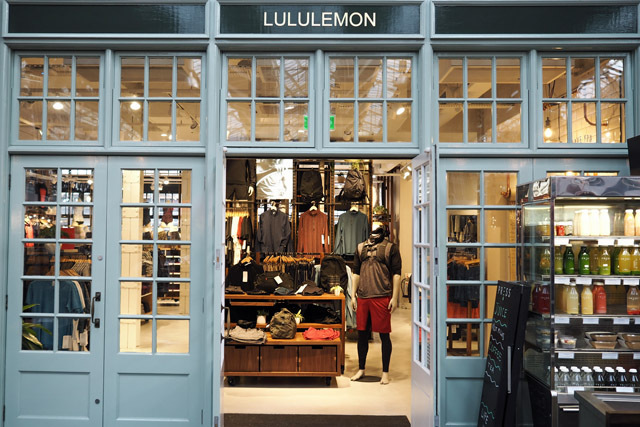 Offering attire for both men and women, Lululemon actually brings a lot more than just clothes to the area. They have a juice bar out back, for starters. And they use local Yoga instructors to regularly transform the store space into a yoga studio for locals to attend classes. This is a brand that is truly a special addition to any area they pop up in and it's a perfect fit for Old Spitalfields Market. Last, but certainly not least, I wanted to remind you to stop into the main market. You can't miss it, as you walk from store to store around Old Spitalfields. It is, after all, the heart of the marketplace itself. 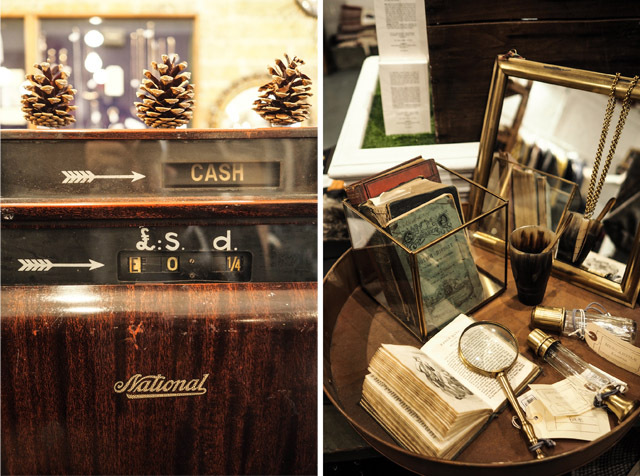 When I was visiting, I was lucky enough to land on antiques day. While the die hard collectors usually arrive early in the day, I found there was still plenty to discover, and spend money on, come 3pm. This is where you will really feel as if you have stepped back in time and discovered a London landmark. The vendors that set up their market stalls here are half of the enjoyment of the shopping. Many have been coming for years and are all too happy to share a story, and perhaps an antique or two, with you. 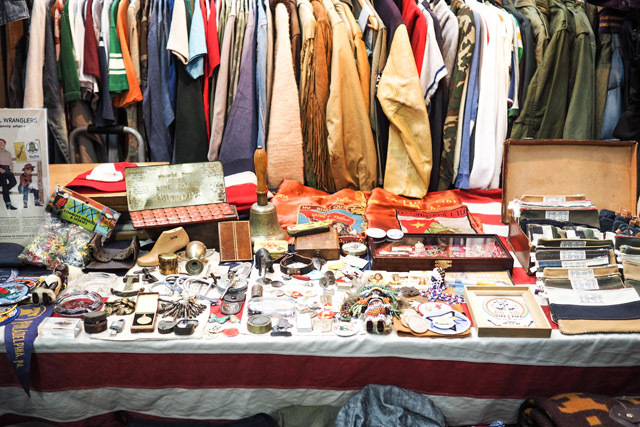 Now, I've given you a quick look at the shopping guide with a few of my favorites on show, but there are dozens more stores to discover in Old Spitalfields Market. 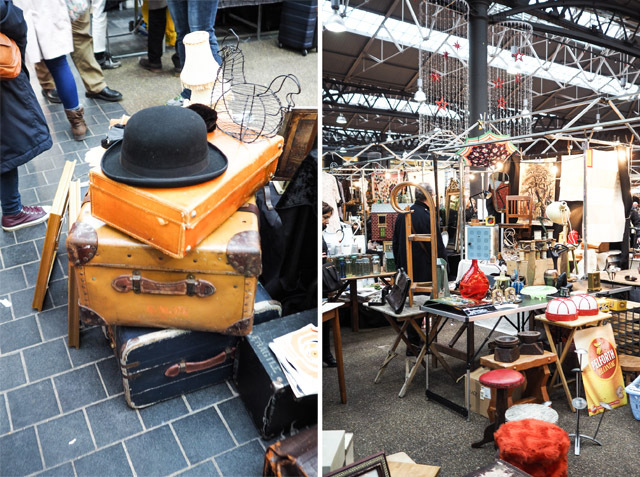 For a comprehensive list, visit the Old Spitalfields Market website and plan your visit! And make sure to check back next week as I'm nowhere near done waxing lyrical about this shopping haven. I haven't even started talking about the culinary delights to be found here...! And yes, there's a burger involved. You can't claim to be surprised!